Article -1-Establishing a council named (Supreme Judicial Council ), having a moral personality. It is independent financially and administratively and is represented by its president or who is authorized by the president. Its headquarter is in Baghdad. Second: The senior member of the council replaces the president in his absence for any reason. Second: To propose the draft of the annual budget of federal judicial authority and to present it to Council of Representatives for approval. Fourth: To nominate the president and judges of the Court of Cassation and the chief of the Judiciary Supervision Commission, and to send these nominations to Council of Representatives for approval. Fifth: To nominate the qualified to be appointed a vice-president of Federal Court of Cassation, a head of Federal Appeal Court and a vice- president of the Judiciary Supervision Commission, and to send these nominations to Council of Representatives for approval. Seventh: To promote ,to transfer, to mandate and to restore the service of the judges of the Federal Courts and to manage their professional affairs in accordance with law. Ninth: To form the judicial commissions and committees of the federal courts. Tenth: To propose the draft laws in respect with affairs of the Federal Judicial Authority . Eleventh: To conclude the judicial agreements and to follow up their implementing in coordination with Ministry of Justice. Twelfth: To establish a committee of judges affairs in accordance with law. 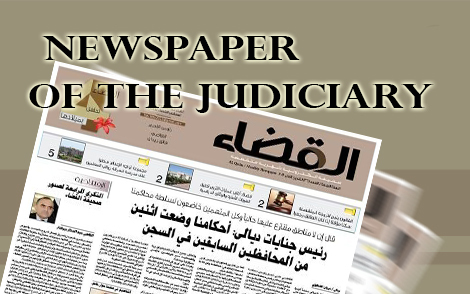 Article -4- The council may authorize the president of the council to fulfill some tasks. Article-5- First: The council shall meet at least once a month. Supreme Judicial Council quorum shall be achieved by majority of its members and the decisions shall be made by a majority of those attending. If the votes are equal, the side with which the president vote will prevail. Second: The president of the council shall name a rapporteur. The rapporteur shall notify the dates of the sessions of the council and its schedule, shall write down its minutes, shall make the communications, shall inform them to relevant entities and to follow up the implementation of the decisions of the council. Second: The Financial and Administrative Department. Third: The Investigators and Judicial Assistants Department. Fourth: The Public Relations and Legal Affairs Department. Fifth: The Judicial Guards General Department. Sixth: The Judicial Development Institute. 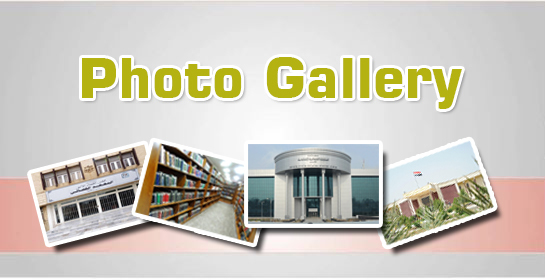 Seventh: Media Center of Supreme Judicial Council . Eighth: The Financial Audit and Internal Control Section. Article -7- First: Each department stipulated in Article (6/first/second/third/fourth/fifth) of this Act shall be managed by employee entitled (Director General)and shall hold at least first-level university degree. Second: The director general shall be assisted by employee entitled (Assistant Director General),shall hold at least first-level university degree , shall be an experienced competent person and shall carry out the tasks that are assigned by director general . Third: The configurations, stipulated in the items (sixth),(seventh)and(eighth) of Article (6)of this Act, shall be managed by a employee at least at grade 3 ,shall hold at least first-level university degree and shall be an experienced and competent person. Article -8- The instructions that are issued by the president of Supreme Judicial Council, shall identify the divisions and tasks of the configurations stipulated in Article (6)of this Act. Article-9- The president of Supreme Judicial Council shall issue the instructions to facilitate implementing the provisions of this Act. Article-10- The Coalition Provisional Authority (resolved) Order No. (35)of 2003 shall be cancelled. Article-11- This act shall come into force from the date of its publication in the official Gazette.